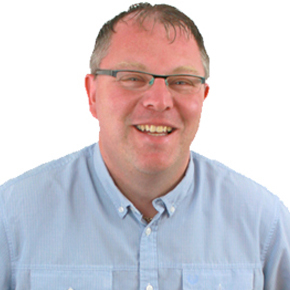 Hi , my name is Paul Bentley and I am the owner of Bentley School of Motoring and also the driving instructor trainer. Being a driving instructor can be a very rewarding career. There is no better feeling than helping someone achieve their goal of being able to drive and to pass their driving test. With Bentley School of Motoring you will receive the most up to date training which includes all the recent changes to the ADI qualifying exams and the changes to the learner driving test. It is a big step to become self employed and change your career but there are many advantages to being self employed. You can choose the hours and days that you want to work and not be tied down to a regular 9 to 5 job. I find that being able to choose my hours means I have more time for family life and no longer miss those important moments because of work commitments. Being your own boss and not answering to anyone is also a big plus point. You also get the chance to buy/lease a new car each year and your business will cover most of the costs Of course there can be disadvantages too but they are outweighed by the benefits. You may be asking yourself why choose us to train you to be a driving instructor? You may be looking at the big national driving schools for your training but I believe we can do it much better. We are local to your area and all training is done on a 1 to 1 basis. Training is up to date and includes all the new part 3 test training. All your training is done in our driving school car. All the books and resources are included in the fee. Payment can be all in one or arranged in more manageable chunks. Being a self employed driving instructor will give you more opportunity to manage your work /life balance. You can choose the hours and days that you want to work. When one of your pupils passes their driving test there is an immense feeling of satisfaction in a job well done. The look on their face when the examiner says that they have passed is priceless and more than makes up for the sometimes more tricky driving lessons. We have produced a free booklet that you can send for which gives an insight into what it is like to be a driving instructor. Call the office to get yours today! All training is done on a 1 to 1 basis and all necessary books are supplied as part of the course fees. Come and join our local, friendly and family run driving school in 2018 with our franchise opportunities. Our aim is to grow our driving school and we want you to be a part of it. You may be with one of the big national driving schools who offer the earth in the sales pitch but then possibly fail to deliver once you have signed up. Joining us means you will have face to face contact on a regular basis if you have any concerns or questions. Working with a small, family run Bradford based business. Supplying you with a full diary. Ongoing marketing through Facebook and Google to keep the supply of pupils flowing. Clear terms and conditions, record cards and progress sheets to help you run your business efficiently. All customers pay for driving lessons in advance so less cancellations. Most driving schools don’t offer this and it can end with lots of down time and gaps in your diary. Ongoing support and help with standards checks and other training needs whilst you are with us. You can purchase/lease a new vehicle each year and we will livery it up. No long term contract to sign. You can have a full time franchise or there is the opportunity to have a part time franchise as well. We have been operating for over 10 years in the Bradford area and now is the time for us to grow and welcome new driving instructors to our business. There would be lots of face to face and telephone contact as we are only a relatively small operation at the moment. We are turning away potential customers on a regular basis as we can’t fulfil their requirements and give them the driving lessons that they need. The standards check is the new format for the old check test which all driving instructors must take periodically to stay on the register of driving instructors. If yours is coming up and you have any concerns why not contact us for a chat and maybe take some extra training/assessment to help you pass your standards check. The marking sheet can be hard to decipher so we can go through how it works and also sit in on one of your driving lessons. Also 1 to 1 training can be provided. If you are interested then please give us a call on 01274 317071 and we can discuss your options. As I had my last test 5 years ago I felt I could benefit from some advice on how I was performing during my lessons.I got in touch with Paul who was more that happy to assist me on the phone and also offered further training by sitting in on my lesson and watching my teaching techniques. He then gave me some very good feedback and also went through the full marking sheet with me.I felt so much more confident after my training.Managed to get a B on my standards check which I was happy with.I would highly recommend others to make use of this beneficial training by Paul Bentley.